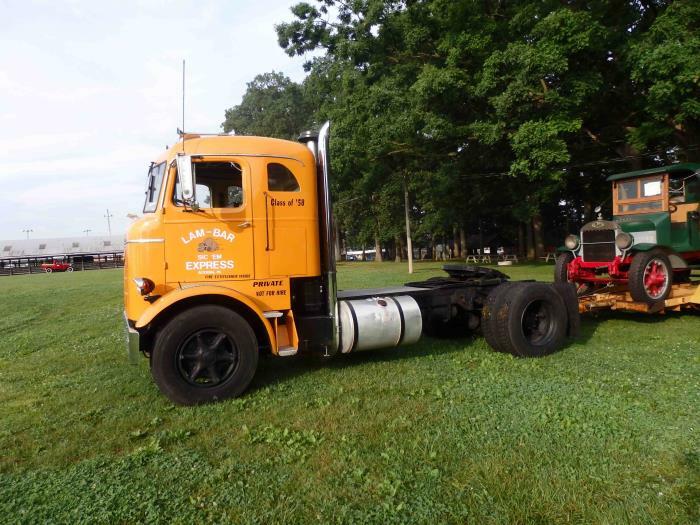 Home » ATHS Discussion Forums » General Discussion » Mack H69 Who knew?? There may be some pictures of NYC Certified Concrete's big H model mixers in one of Edgar Browning's books about NYC construction projects?? Thanks for posting Mackdaddy. Never knew these existed either. Also came across a photo of an H-81 and a H-81SX recently. These were heavy duty chassis with a day cab H cab used for concrete mixers in eastern cities. Saw one once with a concrete mixer mounted at Gearhadt's show. The first were H-65's and like cutting out half of the sleeper really made much of a difference?? I suspected you had a Bowser manual, as I have a copy also. I've used it for transmission ratio information, but never looked at the H model section. He also made several copies of my late 60s era GMC manual showing Crackerboxes and L model steel tilt . At one time while I was newsletter editor, he made the copies for the club also . Dan You are thinking about Harry Muhlschlegel's 1958 H-63 which is decked out in Roadway livery from the 60's. There is a picture of it in the 2005 Showtime from Auburn. Jesse What you have pictured is also an early H-63. The H-69 is a daycab with no sleeper. Interestingly Dan, is that the Salesman's book I obtained came from Jim Bowsers collection. The story I got is that Jim found an original Salesman's book and took it to work (NASA) and made several copies on their/our nickel. I have one of those copies. Its close to 250 pages double sided!! Not sure if this is close to an answer or not. At Hershey about 10 years ago somebody showed something like this in Roadway colors .. I was given pictures of it, the guy thought it was a 6-71T . come cross or heard of this model Mack. Recently I picked up a 60's Mack salesman book with photos and specs of their entire line. I was blown away when I came cross this. Does anyone know if any still exist?